Although 417-land is just a little speck in the middle of the United States, our restaurant scene is filled with gigantic flavors from all around the globe. And we’re talking about more than just the typically popular Chinese, Mexican and Italian spots (although we highlight some of those, too). 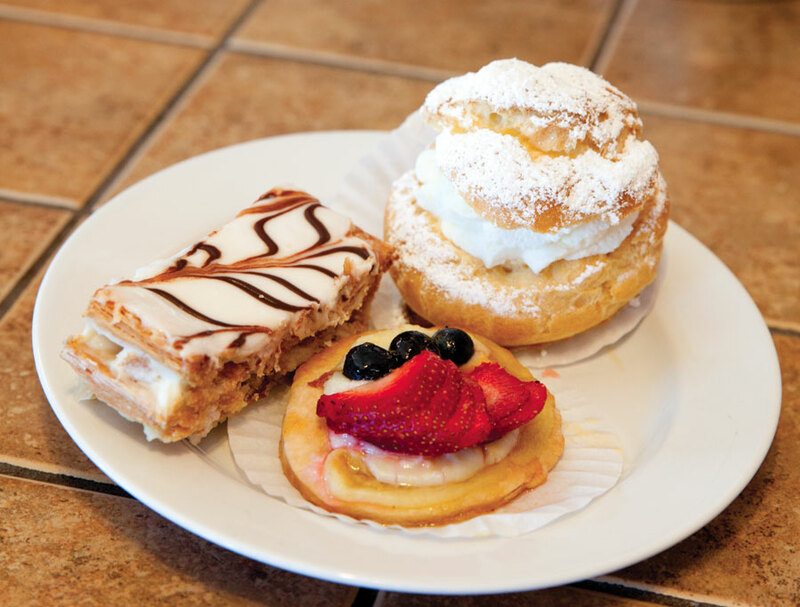 Local diners can dig into Lebanese food, Korean cuisine, Peruvian treats and Australian fare. They can feast on Thai food made by Thailand natives, and authentic Mediterranean dishes made from recipes brought here generations ago. And the list goes on. Whether they came here for business, a vacation or to actually open a restaurant, chefs in our corner of the state hail from all over the world, and they’re serving up some of the tastiest fare around. 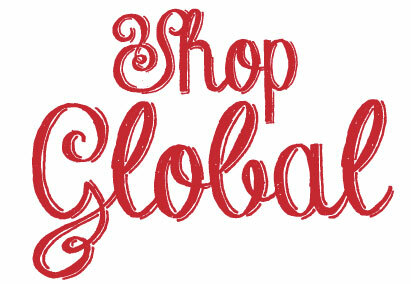 Ready for a culinary adventure that will lead you all the way around the globe? Prepare to feed your adventurous spirit. 5 Spice won over the hearts of 417-land foodies years ago when it first started serving modern Chinese food, delivering carefully compiled, beautifully presented dishes to every customer. And in May 2014, the restaurant gave us all yet another reason to come back: it introduced an authentic Chinese menu. The authentic dishes here are prepared by Bob Tan, the father of brothers and co-owners John and Johnson Tan. “He’s from Taiwan originally,” Johnson says. Highlights of the authentic menu include a soy-braised pork belly, salt and pepper pork, salt and pepper fish and the hot pot fish, which is a Szechuan dish with white fish and assorted fresh vegetables that are stewed in a spicy hot pot sauce. If you’re looking for a more daring authentic dish, Johnson recommends you try the pork chitlins with jalapeños and onions. 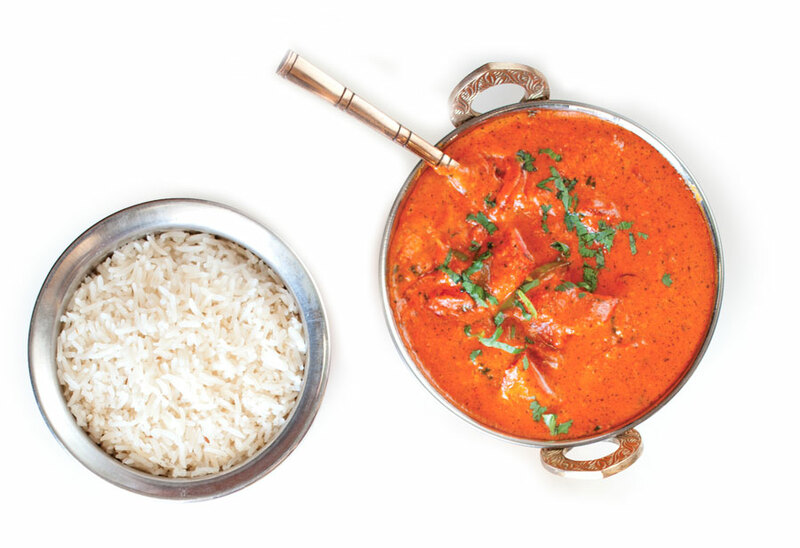 The chicken tikka masala at India Clay Oven features chicken in a creamy tomato sauce with a variety of spices. This Japanese restaurant is owned by Jong Lee, a South Korea native who purchased it in 2010. It’s a hot spot for sushi, selling a wide variety of nigiri, sashimi and maki rolls, but the restaurant also has a handful of authentic Japanese dishes on the menu. If you’re looking to start your meal with some out-of-the-box flavors, look to the appetizer menu and try out the tako—an octopus salad. Then, consider ordering the Mijuri Chicken Katsu for dinner. This dish features breaded chicken that’s topped with Asian barbecue sauce and served with steamed rice and salad, pairing the familiar chicken with a one-of-a-kind sauce that’ll have you licking your plate. Originally from northern Italy near Lake Como, Chef Nicola Gilardi’s days in the kitchen started when he was just a young boy. In fact, his parents even owned an Italian restaurant. “I cooked with my mother for years,” Gilardi says. Next, he went to culinary school in Italy, and after cooking at a few spots around the world, he eventually settled down and opened his own gourmet Italian restaurant in Springfield. Gilardi and his wife, Monica, own and operate Nicola’s Ristorante, which offers a variety of pastas (including a gluten-free pasta), freshly made ravioli, seafood entrées, pizzas, lamb, pork and veal shanks, tenderloins and even bone-in rib-eye steaks. With recipes created by the life-long chef, nearly everything served at Nicola’s is as authentic as Nicola himself, and whether you order a pizza with his signature sauce or an entrée with ravioli that were just made that morning, you’re going to go home happy. The stuffed jalepeños at Iguana Roja Restaurante are filled plump with Terrell Creek Farm goat cheese, bacon and fairy dust, the spice combination the restaurant uses to season its chips. Iguana Roja owner Brian Taylor was born and raised in Springfield, but he went to culinary school in Fort Lauderdale. “In that experience, I was introduced to using many exotic flavors while working with chefs from Cuba, the Dominican Republic, Jamaica, Mexico and South America,” Taylor says. When he returned from training, he was inspired to share his freshened-up interpretation of these cuisines with 417-landers. 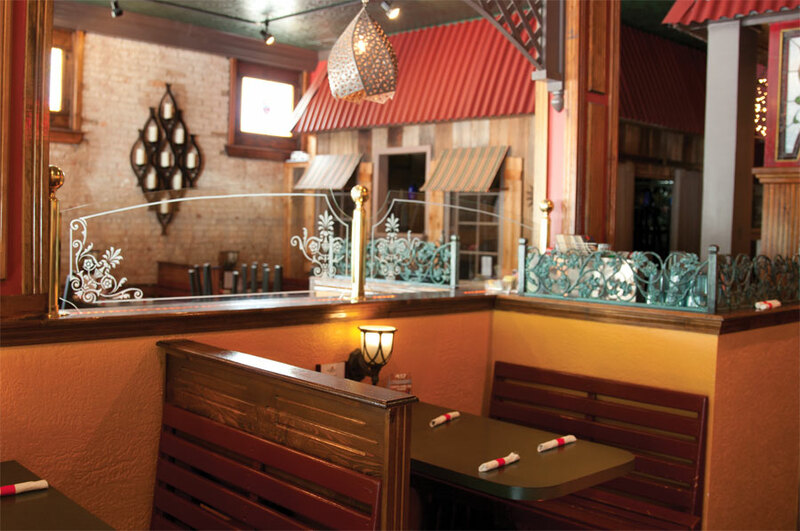 In addition to usual favorites like fajitas, burritos and enchiladas made with the freshest ingredients available, Iguana Roja offers many specialties, including chile rellenos that are lovingly stuffed with quinoa, raisins, almonds, rice, shredded pork, ground beef and caramelized onions and then baked. 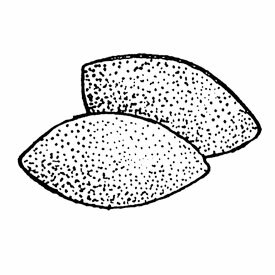 For a real treat, try the stuffed jalepeños that are loaded plump with goodies like local Terrell Creek Farm goat cheese, bacon and fairy dust—a seasoning blend ground in house from cumin, garlic, annatto seed and cracked black pepper that’s also used to season the chips. Great Britain native Bill Griffiths, who owns Farmers Gastropub with his wife, Christina, says he’s always wanted to open a restaurant. After learning to cook while living in France, he moved to Springfield in 2004 and opened Farmers Gastropub in 2009. The gastropub concept leads the restaurant to feature as much local fresh, organic and sustainable food as possible. 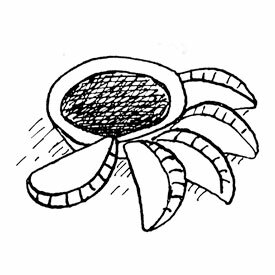 With a nod to Bill’s roots, much of Farmers’ menu is British, including the fish and chips. “We hand-cut all of our French fries and double fry them,” Bill says. The bangers and mash dish features sausage that’s mixed in-house and stuffed at Harter House, and the cottage pie is complete with beef, veggies, gravy and mashed potatoes. Farmers also serves a full English breakfast on Sundays. Recently, the restaurant hired Chef Peter Tinson, who is known from his years at Gallery Bistro and his more recent stinit at Springfield’s south-side location of Nonna’s Italian Cafe. The fish bowl soup at Yan’s Chinese Restaurant is seasoned with a sprinkling of green onion and a touch of salt. Originally from China, Yan’s Chinese Restaurant owner Tom Hsi moved to the United States in 1984. Hsi opened his Springfield restaurant in 2012, and with high hopes of pleasing the palates of all 417-landers, he created both American Chinese and authentic Chinese menus. While you’ll find many of the ordinary chicken-meets-sauce favorites on Yan’s Americanized menu, we suggest branching out and ordering from the authentic menu instead. The top-selling authentic dishes include duck offered five ways (oh, the roasted duck! ), fish bowl soup, spicy cabbage, braised ribs served with tofu noodles and deep-cooked pork, which is a flavor-packed pork belly that is slowly cooked for eight hours and served dripping with flavor. The restaurant also offers hot pots with fish, beef, meatballs or vegetables that are delivered to your table on a portable stove while they’re nice and hot (in fact, they’re still steaming!) 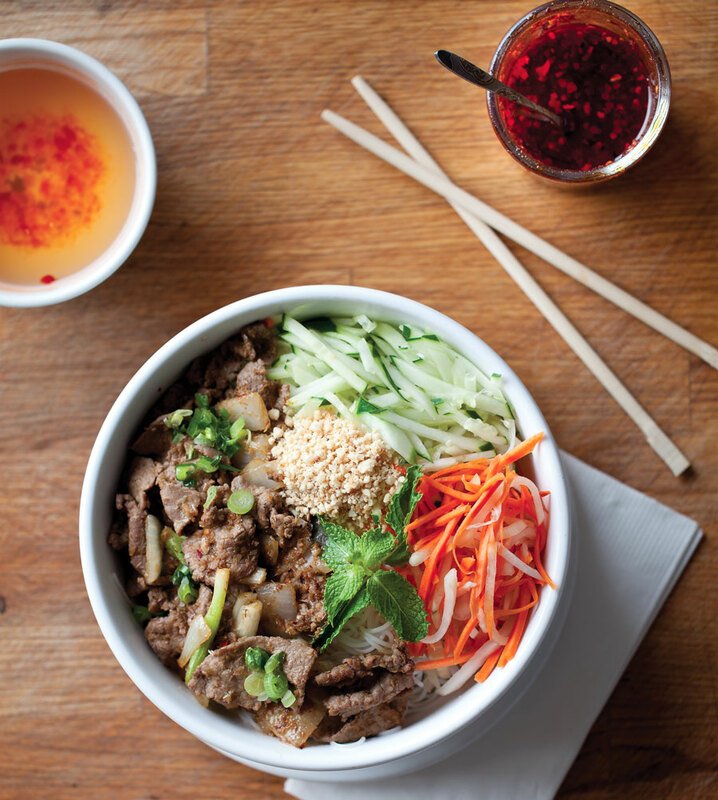 “A lot of people come in and try all the authentic menu items one by one,” Hsi says. Sounds like a plan. Great American Taco Company owner Pat Duran opened this restaurant to offer 417-landers a not-so-traditional take on Latino food. The menu here specializes in tacos (nearly 20 varieties served in your choice of six shells, often with different meat options), but there are also other tasty options that include gourmet posole soup, enchiladas, burritos, and Frito pie. 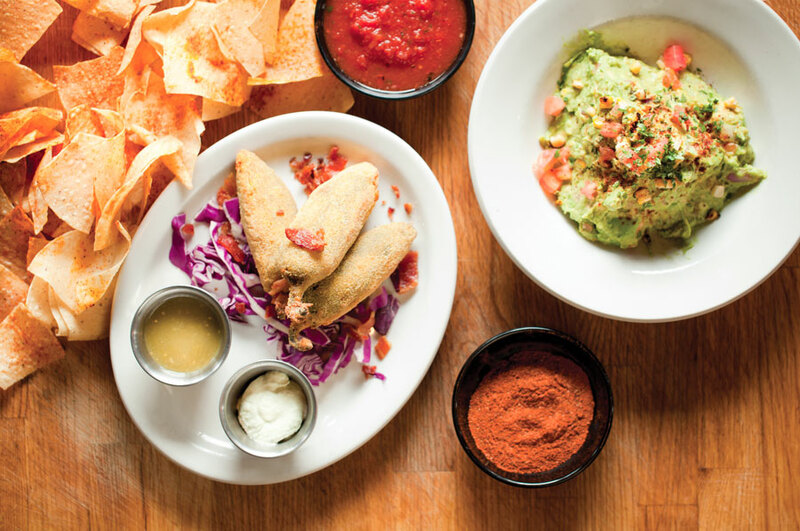 To add to your list of ordering decisions, the restaurant offers four varieties of salsa and six styles of fresh guacamole. First timers should sample the Ultimate Perfection taco with chili sauces, queso, smoked cheddar, pepper jack, shredded romaine, fresh tomato, cilantro citrus sour cream and your choice of meat. 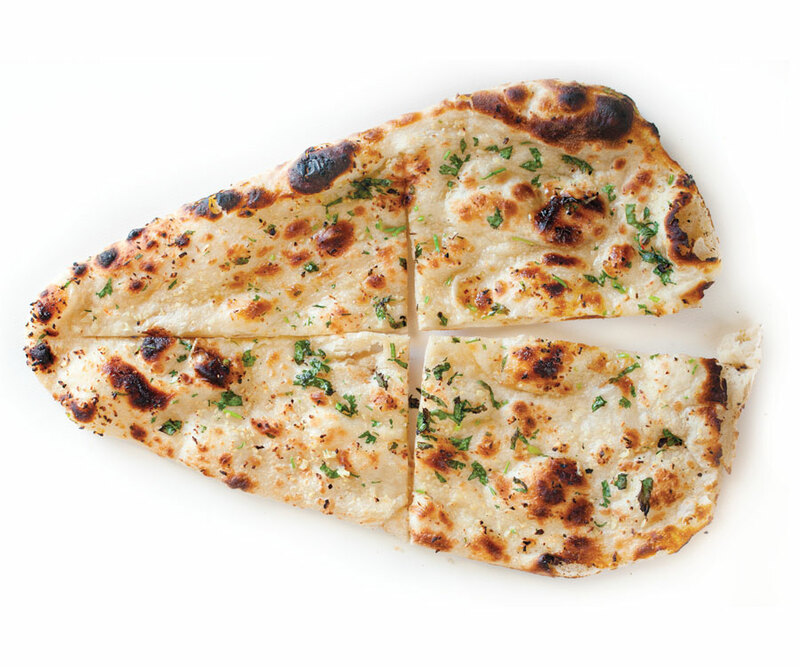 Dishes at this Indian restaurant can be ordered mild, medium or spicy and with plenty of indulgent sauce, so be sure to order some naan (Indian flatbread) so you can soak up every last drip. 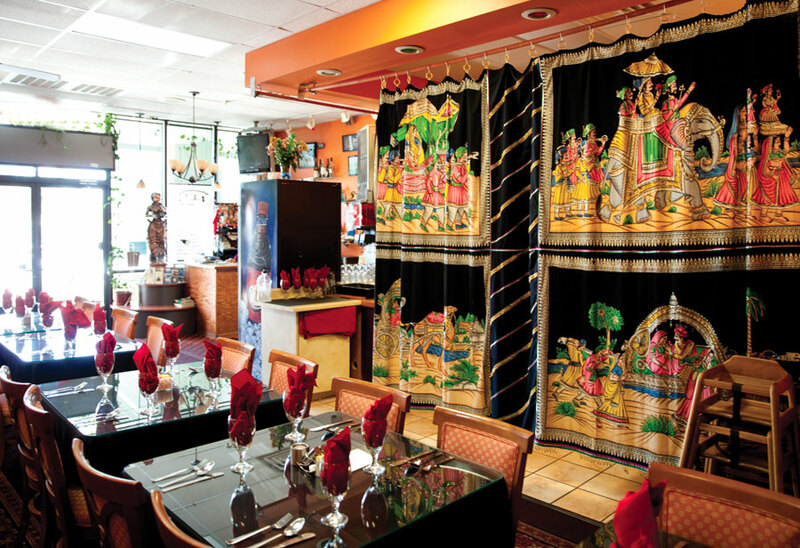 Owned by India natives Tarvinder Girn and Paramjit Kaur, the restaurant offers a full buffet at lunchtime and an enormous menu at dinner time. If you’re new to Indian cuisine, Girn suggests trying out the chicken tikka masala featuring chicken in a creamy sauce and served with rice. (What’s not to love?) The lamb vindaloo, a spicy lamb dish, is a great option for more adventurous eaters who are ready to graduate from chicken tikka masala. 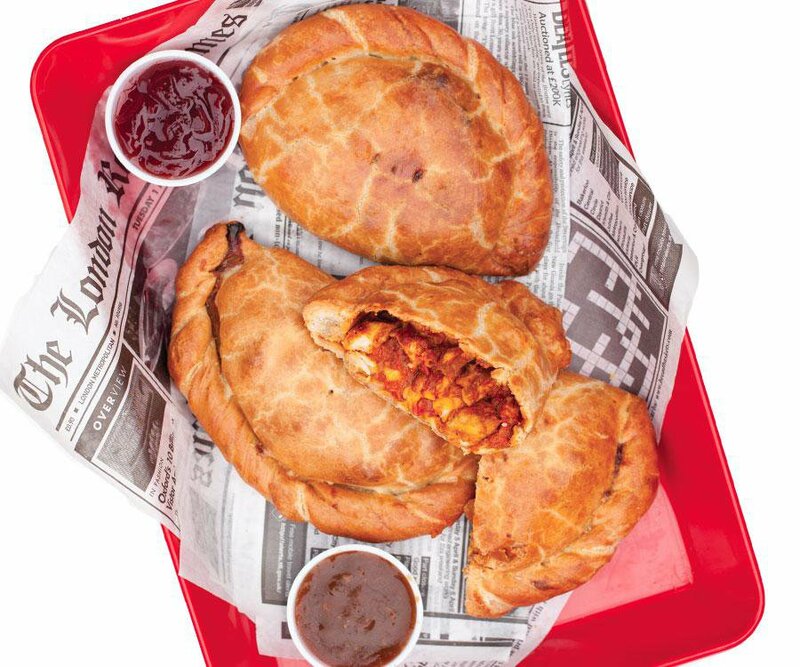 London Calling Pasty Company offers a variety of pasties, which are British hand pies with warm, savory fillings. 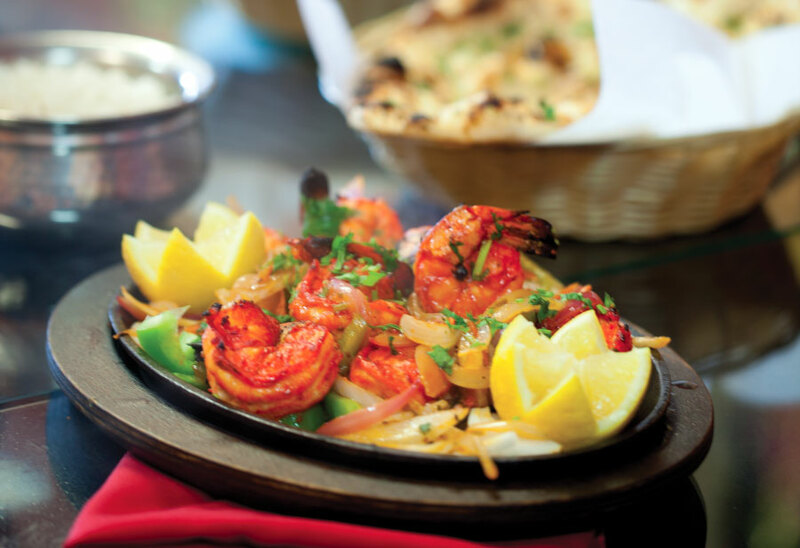 Favorites include the bangers and mash, the steak and stilton and the tikka masala (pictured here). For an extra treat, dip the crust in a side of strawberry jelly. Long before he began greeting customers at this gourmet pasty company, Neil Gomme left his West London home to attend summer camp in Maine. While he was there, he ended up meeting his wife. “She was from Springfield,” Gomme says. The two lived in London for a while, but then they ended up relocating to 417-land, and Gomme decided to put his charming accent and knowledge of British food to good use by partnering up with his sister-in-law, culinary guru Carrie Mitchell, to open London Calling. 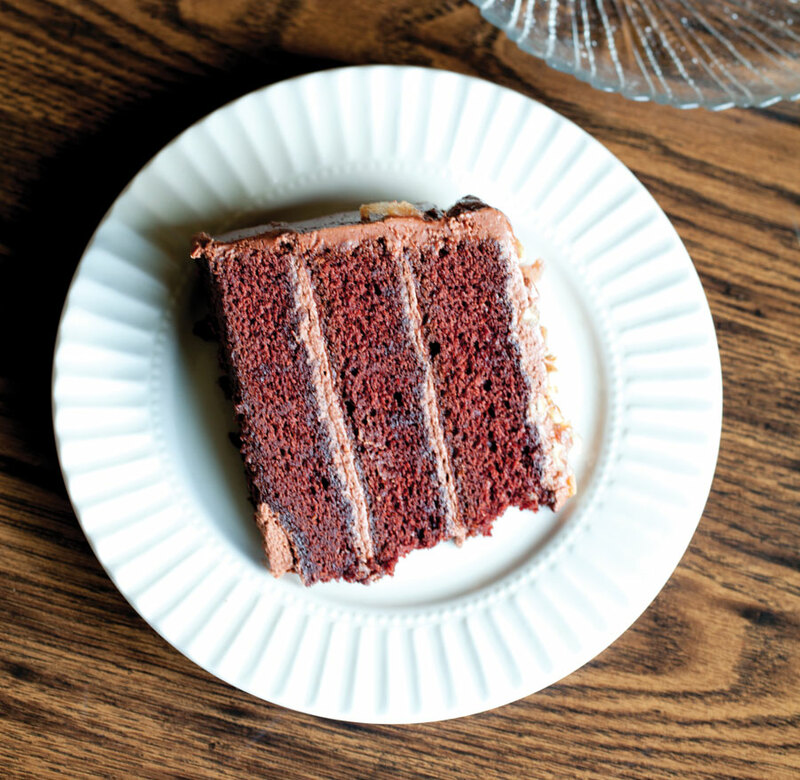 “She does the cooking, and I brought a lot of the recipes,” Gomme says. Located in Springfield’s food truck park and offering a big red double-decker bus for seating, this restaurant specializes in creating the ever-so-popular British pasties made with flaky crust and warm fillings. Flavors range from a traditional filled with tender steak, onion, golden potato and rutabaga to a version filled with bangers and mash, one with steak and stilton and even a tikka masala that’s loaded with chicken, a cream-based tomato sauce and English curry. You’ll also find a tasty shepherd’s pie and traditional sausage rolls on the menu, with every ingredient made from scratch in the food truck. 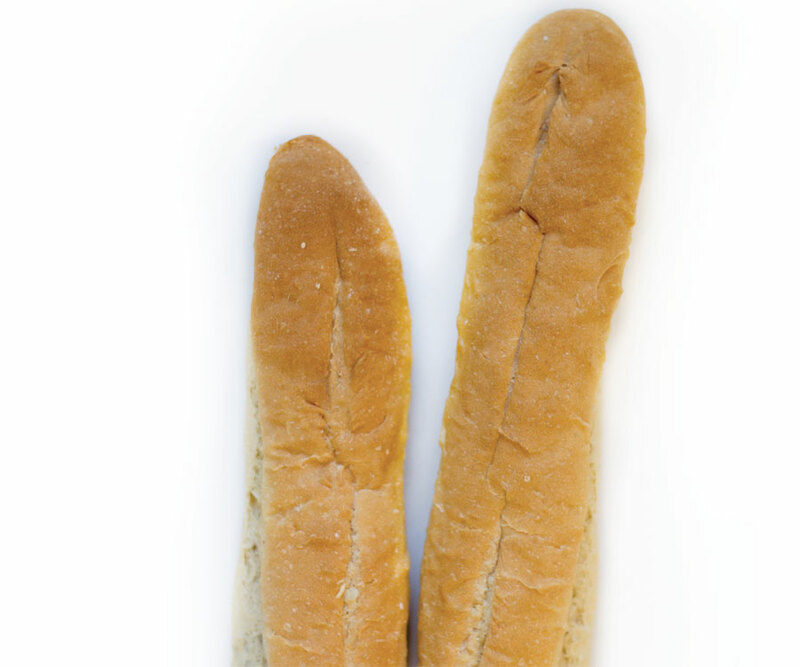 Although it comes in many different forms, bread is an almost universal food around the globe. We tell you where to find a few of our favorite kinds. The first Elotes Don Tono food truck was started in Mexico by Elotes Don Tono himself. Two years ago, Elotes Don Tono’s son, Martin Rodriguez, and his wife, Norma, decided to open a version of the food truck in Springfield. Moving here from Mexico, the two wanted to serve things just as they are served in their native country. A favorite here is the Mexican street corn, which is served on the cob or in a cup and seasoned with a combo of butter, mayo, Mexican cream, Mexican cheese and chili powder. Other popular items include street tacos available with steak, pork, tripe or tongue and dressed with cilantro, onion and homemade salsa, homemade pork and chicken tamales and torta, a Mexican-style sandwich served on homemade Mexican bread. Originally from South Korea, Nam Ok Kim purchased Soo’s more than four years ago. She filled the menu with several traditional Korean dishes, including the favorite beef bulgogi (tender marinated beef), the squid bokum (stir-fried squid and vegetables) and the samgyetang, which is a traditional Korean soup made with chicken and ginseng. If you’re new to Korean food, try the beef bulgolgi—the tender marinated beef is excellent here, and it comes on a skillet with a side of veggies. If you’re more experienced, go for the doenjang jjigae, a stew-like dish made with soybean paste. 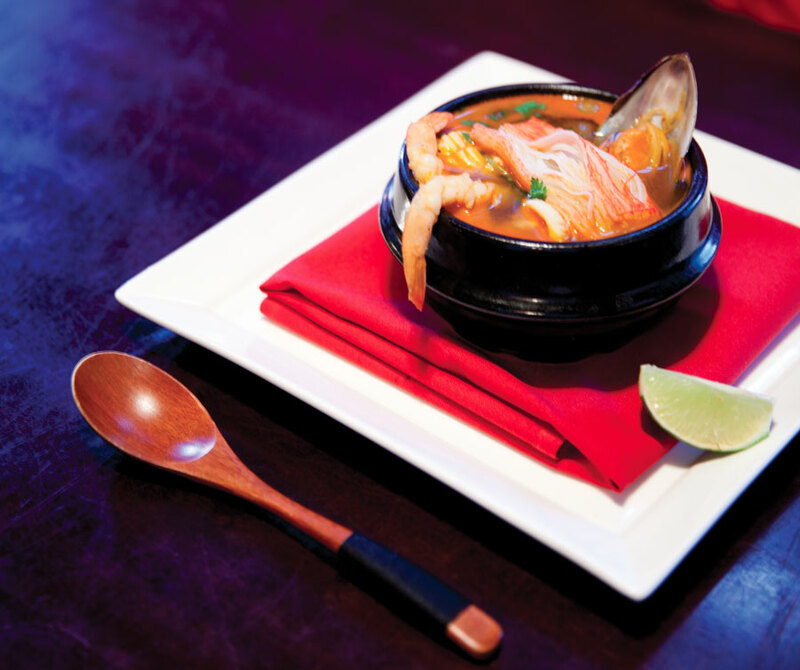 The spicy seafood soup at Haruno comes with spicy broth , shrimp, green muscle, squid, lime, cilantro and a crab stick. 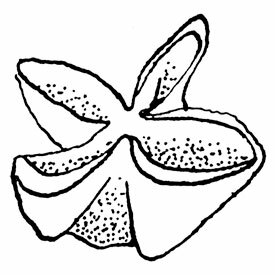 All 417-land sushi fans know and love Haruno, a restaurant that has grown famous for its quality sushi creations. But that’s certainly not all there is to get excited about at this Japanese restaurant, owned by Young Sun Jun and her husband, John Jung. Young says that the restaurant’s udon soups are both great authentic Japanese dishes. One features broth, udon noodles, shrimp tempura and vegetable tempura, and the other features broth, udon noodles, chicken, shrimp tempura, boiled egg and spinach. If you’re feeling more daring, opt for the spicy seafood soup (loaded with seafood favorites) instead. The donburi is a flavorful layered dish that combines rice, onions, egg, a sweet and salty broth and your choice of chicken, pork or shrimp tempura. Of course, the teriyaki options are always a slightly sweet and safe choice for those who are new to Japanese cuisine. If you want to start with an authentic Japanese appetizer, try the gyoza, traditional pan-fried Japanese dumplings. When Young Sun Jun decided to open Koriya with her husband, John Jung, nearly three years ago, she wanted to introduce 417-landers to customizable Korean cuisine. The restaurant’s bibimbap is a great choice for first-timers, as it offers a choice of brown, white, black or mixed rice and a variety of vegetables, meats and sauces that can be combined to create dozens of flavors. “If you want it to be the most authentic, ask for it with an egg,” Young says. 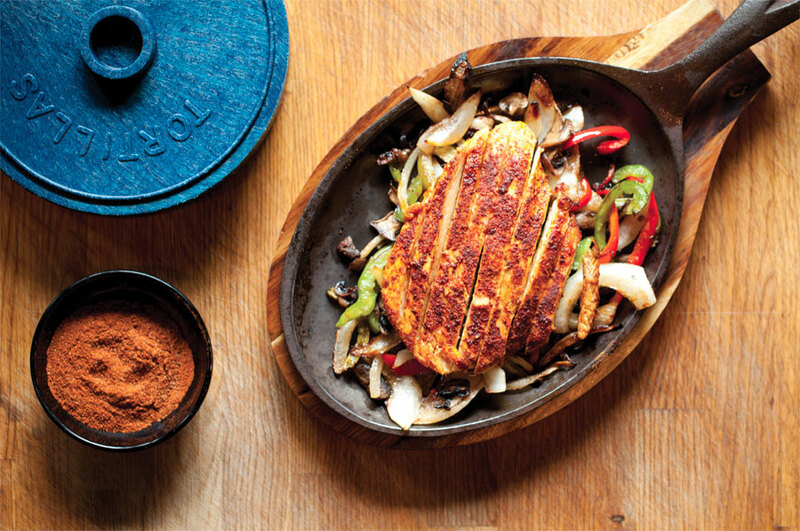 Those skeptical of anything unusual can start simple with the spicy peanut chicken dish, which features crispy breaded chicken and a kick of heat. Other popular menu items include bulgolgi beef, yaki soba with chicken and galbi—Korean barbecue short ribs. On your first visit to Tong’s Thai Restaurant, try out the Siam Beef. This dish features thinly sliced, extra-tender ribeye steak that’s marinated in a tasteful selection of Thai seasonings and spices then stir fried with bell pepper, bamboo and onion. Another popular choice for Thai-food beginners is the Emerald chicken with grilled marinated chicken, steamed vegetables and a creamy peanut sauce. “I developed a lot of the recipes myself,” says owner Tong Trithara, who’s originally from Bangkok. Of course, you’ll have a choice of many other authentic dishes, including a variety of pad Thai creations (the seafood pad Thai is a must-try when it’s on special). If you’re looking to feed your adventurous spirit, try the Bangkok duck—a half-duck that’s deboned, breaded, deep fried and topped with garlic basil sauce. Argentine cuisine is well-known for being heavy on the beef, and The Argentina Steakhouse capitalizes on this fact with its first-class menu. Originally from Argentina, owner Angel Kim says he worked to blend traditional Argentine flavors with popular steakhouse fare, and he included many tasty beef options. A favorite is the Lomo Ana Pineta, a grilled filet dish that’s served with a burgundy reduction or mushroom cream sauce. All entrées are servered with chimichurri sauces, which are traditional Argentine dipping sauces loaded with flavor, and Argentine sea salt is the spot’s signature seasoning. Henry Huynh came to Springfield from Vietnam in 1989. Nearly 10 years later, he was still baffled by the fact that Springfield had Chinese, American and Mexican restaurants on what seemed like every corner, but there were no Vietnamese restaurants to be found. “The food is really fresh and really healthy,” he says. “We needed that, and that is why I opened.” Henry opened Bambu with his brother, Nguyen, in 1998. The restaurant serves a variety of authentic Vietnamese dishes, among them pho, a Vietnamese noodle soup with broth, rice noodles, herbs and meat. All of the stocks used here are made in-house and cooked for 12 hours, giving them an exquisite depth of flavor, and many dishes come with a side of fresh herbs, lime, bean sprouts and chili for customizing your meal. 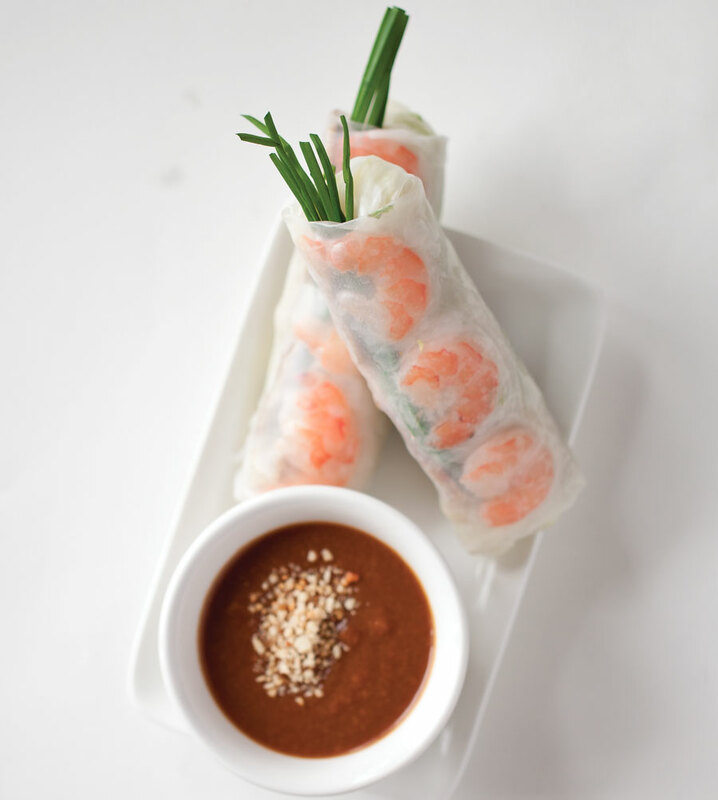 You’ll also find a variety of vermicelli dishes, rice platters and noodle soups on the menu. Originally from Mexico, Avanzare’s owner Tony Garcia was trained to cook in Chicago and now specializes in creating all things Italian at his Springfield restaurant. Favorites here include the Mussel al Forno appetizer with baked mussels in a zesty garlic wine sauce with a splash of the restaurant’s house-made marinara and the Frutti di Mare, a spaghetti dish with shrimp, calamari, scallops and black mussels in freshly made marinara with a touch of red pepper. All the dishes are to die for, though, since many of the pastas and all of the sauces are made from scratch in the restaurant’s kitchen. Opening a Middle Eastern restaurant wasn’t always the dream of Riad Matar, who came to the United States from Syria as a university student. He actually studied civil engineering in college, and he didn’t start experimenting with cooking until he developed a weight problem. “I learned to cook 12 years ago because of my health problems,” Riad says. He was taught to cook by his mother, and his restaurant quickly became well known for its babaganoush, hummus and gyros, among other dishes. Many of the options here are healthy, including the tabbouli. “I say, ‘go healthy and be healthy,’” Riad says. 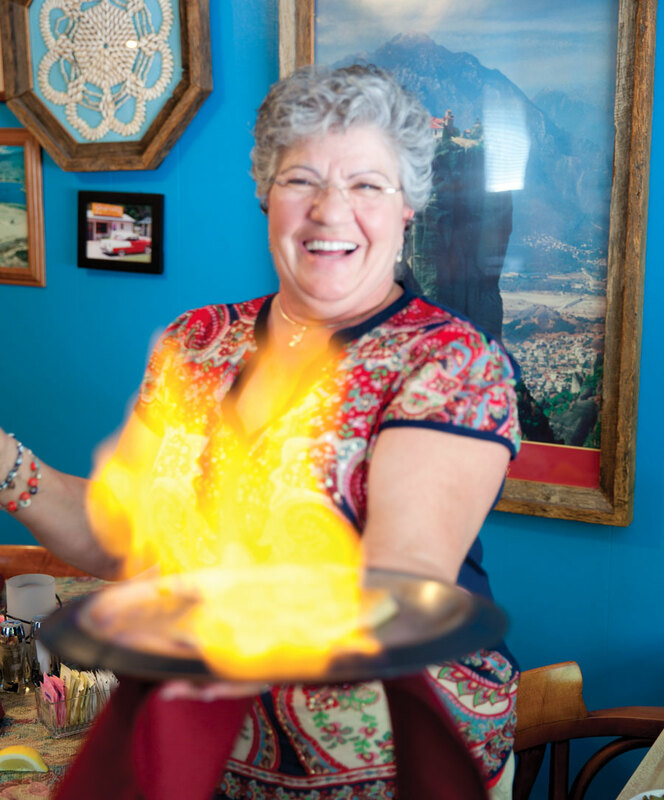 Bessie Haldoupis serves up saganaki, a flaming cheese dish at Papouli’s. Let’s get fired up! The most fun way to start a meal at this Greek restaurant is with the saganaki, a dish of buttered and grilled kasseri cheese that’s covered with brandy and set on fire tableside. This is just one of many authentic Greek favorites offered by owners Bessie and Tom Haldoupis, who were born and raised in Greece. 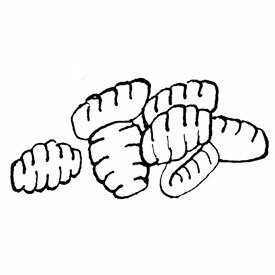 After living in New York and then moving to Springfield, the couple opened Papouli’s in 1986. Their background inspired many other favorites here, including dolmades (stuffed grape leaves), spanakotiropita (a spinach and cheese pie), gyros, moussaka and pastitsio. The Greek salads are topped with house-made Greek dressing of olive oil, white wine vinegar and Greek seasonings and are also a favorite. If you’ve never tried Greek cuisine before, consider starting with Papouli’s super-popular kebabs, which feature your choice of fork-tender filet, lamb, pork or chicken with broiled tomato, pepper, onion and mushroom. Owned by Thailand native Budsabong Brutham, Thai Thai Cuisine offers everything from stir-fry, curry, noodle and fried-rice dishes to entrées featuring seafood and other proteins. And then there are other Thai creations perfect for those who are willing to try something new, like the red curry duck dish featuring barbecue duck, tomato, pineapple, red peppers and sweet basil. While spice levels typically range from not spicy to extra spicy on a scale of 1–5, if you want to try an extremely spicy dish, the restaurant will do its best to accommodate you. Leong’s Asian Diner is perhaps best known for its name. David Leong was the blessed soul who invented Springfield-style cashew chicken more than 50 years ago. Today, the original cashew chicken recipe is prepared and served to the masses at this restaurant, owned by Leong and his sons, Wing Wah Leong and Ling Leong. 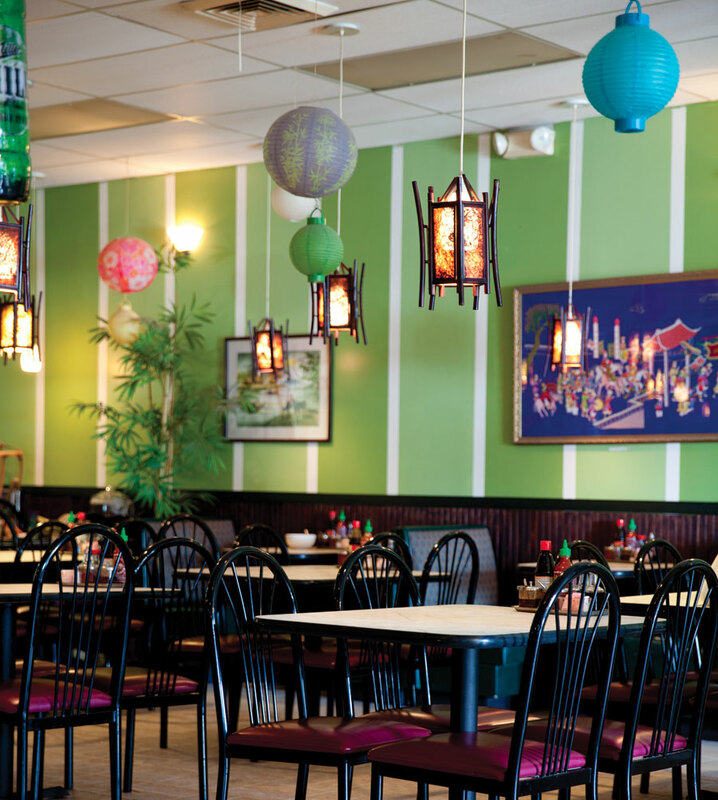 But the restaurant’s menu also features authentic Chinese dishes, including egg foo young. 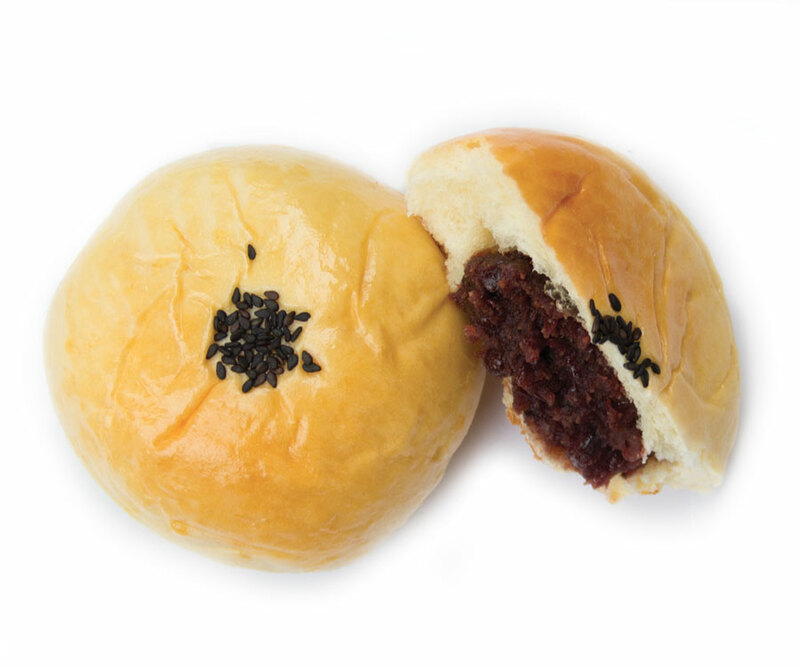 Available with veggies, chicken, pork, beef or shrimp, the delectable dish features a combo of eggs, baby bok choy, bean sprouts, mushrooms, snow peas, carrots and green onions shaped into patties and served with cashew sauce and steamed rice. Another authentic favorite here is the Cantonese-style roast duck, which is slow roasted and sweetly topped with made-from-scratch plum sauce. To wake up your appetite, start with the dim sum sampler platter. Bruno Gargiulo was born and raised in Palermo, Sicily. He came to the United States in 2003, then opened Bruno’s in downtown Springfield in 2005. The restaurant serves everything from a variety of pasta dishes to ravioli, pizzas and fresh seafood dishes. “We always have a weekly fish special, depending on what fish I can get in fresh,” Bruno says. From the breads and sauces to the sausage, everything at this restaurant is made from scratch. In addition to a truly authentic Italian menu (really—entrées are even written in Italian), Bruno brings another Italian must-have to the dining scene: wine. He owns a vineyard in Sicily, and you can order a glass of his vino to accompany your meal. 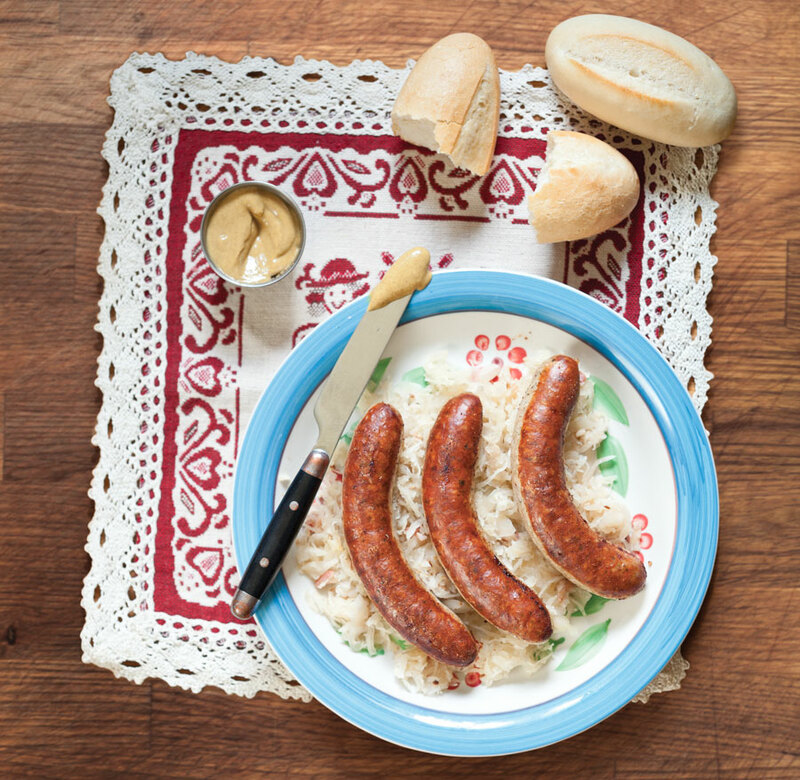 The German bratwurst and Bavarian sauerkraut at Roswitha’s Schnitzelbank pair well with brÖetchen bread and mustard. 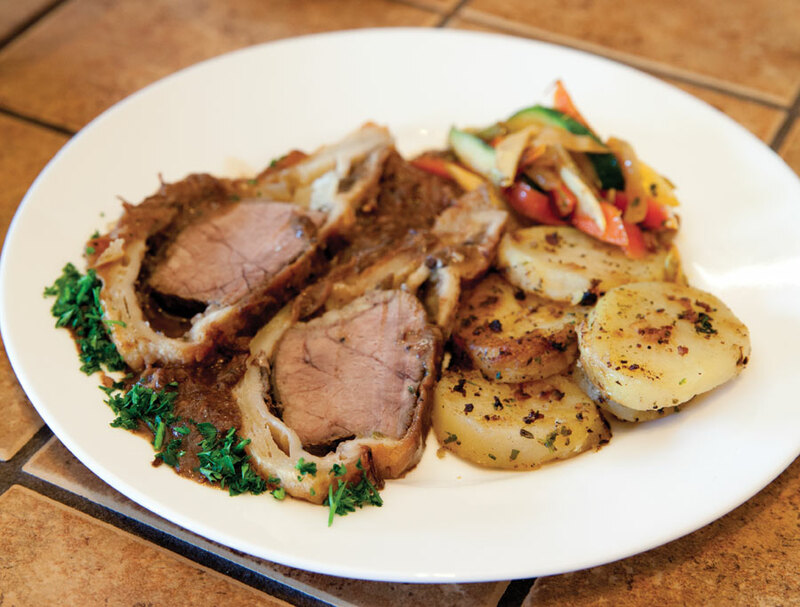 This German eatery owned by Roswitha Hartline is located in a show stable that doubles as a restaurant in Webb City. “But I promise, we don’t eat horse meat!,” Hartline says. 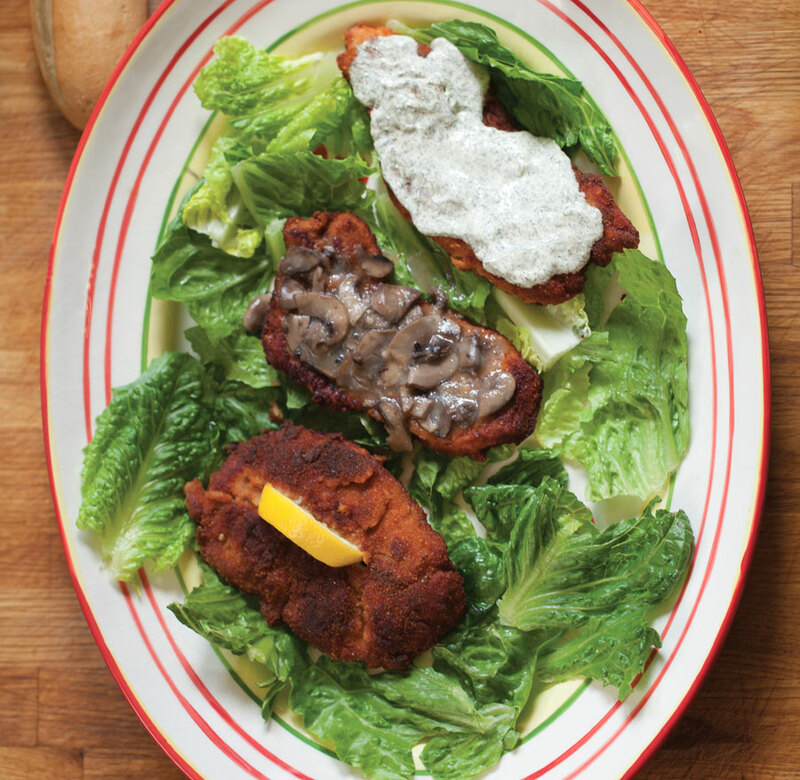 Originally from Rhineland, Germany, Hartline creates authentic German dishes like wienerschnitzel, a breaded pork loin topped with lemon, jagerschnnitzel topped with a sautéed garlic, mushroom and white wine sauce and rahmenschnitzel topped with a sour cream and lemon dill sauce. Other goodies on the menu include German bratwurst and sauerbraten, which is a tender beef roast marinated in gourmet white vinegar and seasoned with bay leaves. Meals here may be accompanied by your choice of German sides, such as kartoffelsalat, a warm potato salad with bacon and a gourmet vinaigrette, or Bavarian sauerkraut, which Hartline says is sweet and sour without the bite. Make sure to arrive here hungry, and you’re sure to leave happy. “People just go on and on about the food I cook, and I swear, I sometimes get embarrassed!,” Hartline says. But before you visit, be sure to grab some cash­—the restaurant doesn’t take credit cards. 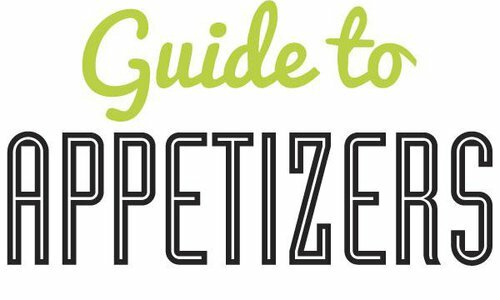 Appetizers are the best way to start a meal, and That Lebanese Place gives Lebanese-food lovers many authentic and flavorful options. If you’re a fan of dipping and scooping, start things off with the pita and hummus or babaganoush. If you’re looking for super-authentic flavors that you can’t find just anywhere, try the grape leaves filled with rice and vegetables. Originally from Lebanon, Elie Ghanem owns the restaurant with his wife, Elizabeth, and he recommends trying That Lebanese Platter if you’re new to the cuisine. It’s loaded with your choice of two meat skewers (choices include beef, chicken or kafta, which is a ground beef mixture seasoned with parsley and onions), plus four pieces of falafel and four stuffed grape leaves. Vasken and Staci Haroutounian are the husband-and-wife team who own both Vasken’s Deli locations, and Setrak, Alyse and Meg Haroutounian are the trio of children who help the restaurants operate. “It really is a family business,” says Setrak. A variety of Mediterranean dishes fill the restaurant’s menu, including a mouthwatering gyro that helped put the spot on the map. “We always suggest that they start with the lamb or beef gyro,” Setrak says. The shawerma hot sandwich features beef brisket or chicken seasoned with special shawerma seasonings and is another favorite. While researching to open his restaurant, Nixa native Steve Wood traveled to Australia three times. He came back fully equipped to open Branson’s Outback Steak and Oyster Bar, which is exactly what he did 26 years ago (just six months before the Outback Steakhouse chain restaurant first opened). “There are two large grills in the center of the restaurant, because in Australia, almost everything is cooked ‘on the barbie,’” Wood says. “When designing the menu, I wanted to be able to grill as many things as we could.” Classic steaks and seafood here are seasoned with the restaurant’s signature seasoning and grilled. The restaurant also has some Australian-themed sampler dishes, including The Aussie Plate (with pork, two sausages, tomato, onion and a fried egg) and The Melobourne Mixed Grill (with quail, lamb and another exotic meat). 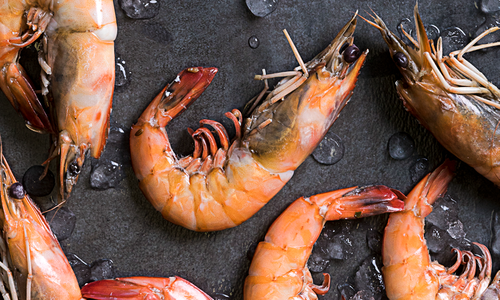 A fun and truly Australian starter is the alligator tail—give it a try! Elaine and Roland Parney create gorgeous French fare at La Galette Berrichonne, including Beef en Croute. After attending culinary school, French-born chef Roland Parny cooked around the world in places like Paris and South Africa. Then, he came to the United States and cooked as an executive chef for Mississippi State University before he settled down in Fordland. His retirement dream was to start a cooking school here and run a café on the side, but the café quickly became the star of the show. 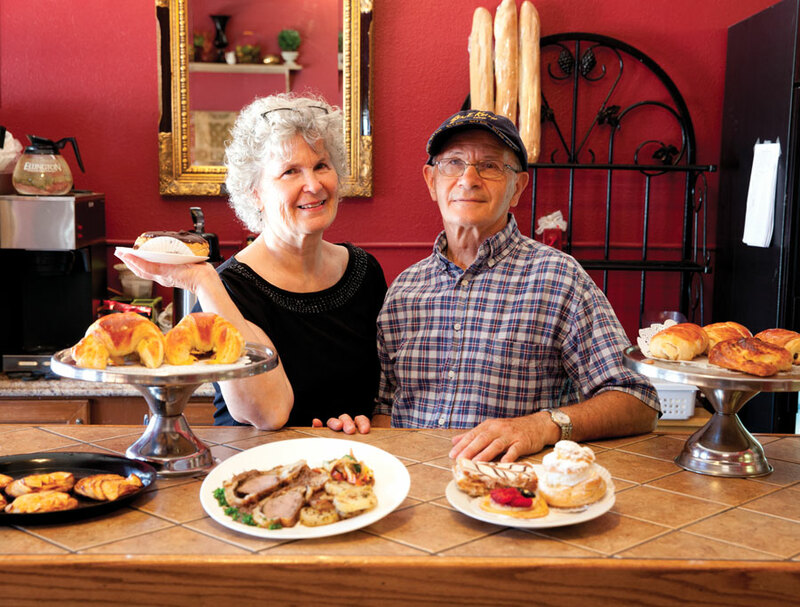 Today, with the help of his wife, Elaine, Roland runs La Galette Berrichonne, a French bakery-café that specializing in French dishes with a bit of a home-cooked flare. “A lot of the dishes reflect Roland’s upbringing in La Berry, a French region roughly three hours south of Paris that’s a lot like the Ozarks,” Elaine says. 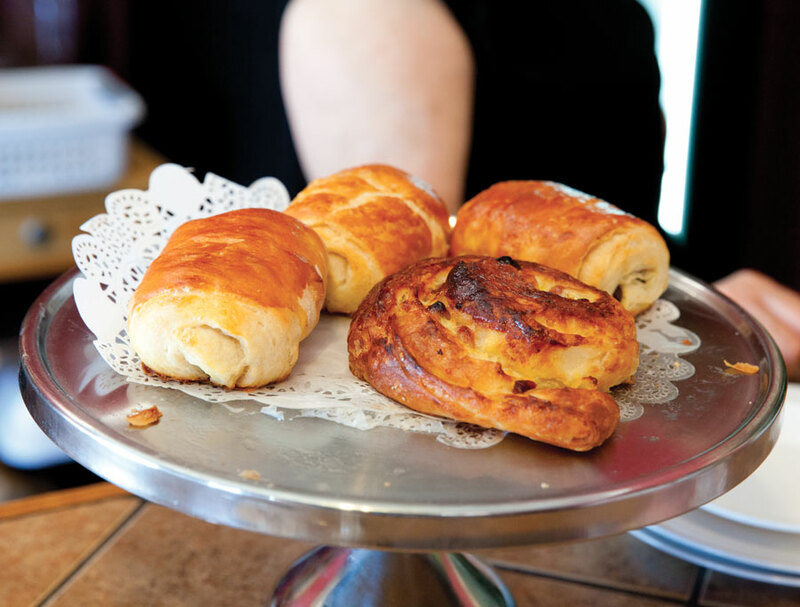 Popular French selections include Chicken DuBois, Beef Burgundy and, of course, a dreamy selection of freshly made French pastries. If you’re in the Branson area and you get a hankering for some German food, you’re in luck. Gertraude Santo opened Altenhof Inn here in 1998, and the restaurant serves up a variety of tasty German classics with a side view of Table Rock Lake. “I always watched my mother cook when I was little, and then I worked my way up in the restaurant business,” the Germany native says. “I was eager to learn.” Santo has experience cooking in fine-dining establishments and catering, but it’s working at the Altenhof Inn—the restaurant she started herself—where she says she’s fulfilling her dreams. “In 1986, I said, ‘What if…’” Santo says. “And now, I’m in my 17th season.” Wienerschnitzel and jagerschnitzel are popular authentic German options, and guests also love the bratwurst and knackwurst with red cabbage and German potato salad. There’s also a line of burgers and pizzas here, including a German-themed pizza with bratwurst, knackwurst, onions and sauerkraut. While developing the menu at Cafe Cusco, owner Joseph Gidman focused on mixing flavors of ancient Peruvian cuisines with modern tastes. “I’ve worked for a lot of chefs, and I spent a lot of time traveling and being exposed to a lot of different foods,” Gidman says. “My best friend is from Lima, Peru, and I got a really good taste for the food.” Among the authentic Peruvian dishes here is the ceviche, which is raw fish that has been cured in lime juice, garlic, red onions and yellow pepper. You’ll also find a variety of other Peruvian flavors on the menu with entrées such as the Lima Shrimp Cocktail and the Fritas La Huancaina, made of Yukon gold, sweet potato and yucca fries with Huancaina cheese sauce and cilantro. To start off your meal, be sure to try the tequenos, a favorite appetizer of Cotija cheese cooked in empanada dough. At ReRico Brazilian Grill, it’s all about the meat. “We have 18 rotisserie meats, and they’re all brought to your table on skewers for tableside carving,” says restaurant owner and chef Angel Kim. But this meat isn’t just your typical beef and chicken. 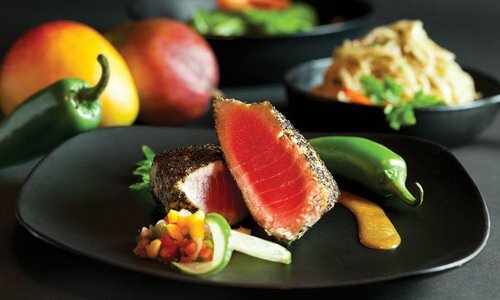 The selections are all first-class, including the popular Brazilian Picanha, a house-special beef rump roast, filet, K.C. Strip, Frango Peito, a chicken breast with bacon, Froaldinha, a horseradish sirloin and more. Dinnertime guests also get to feast on the gourmet cold bar, which features some 40 appetizers and salads including shrimp and calamari ceviche and gourmet olives. 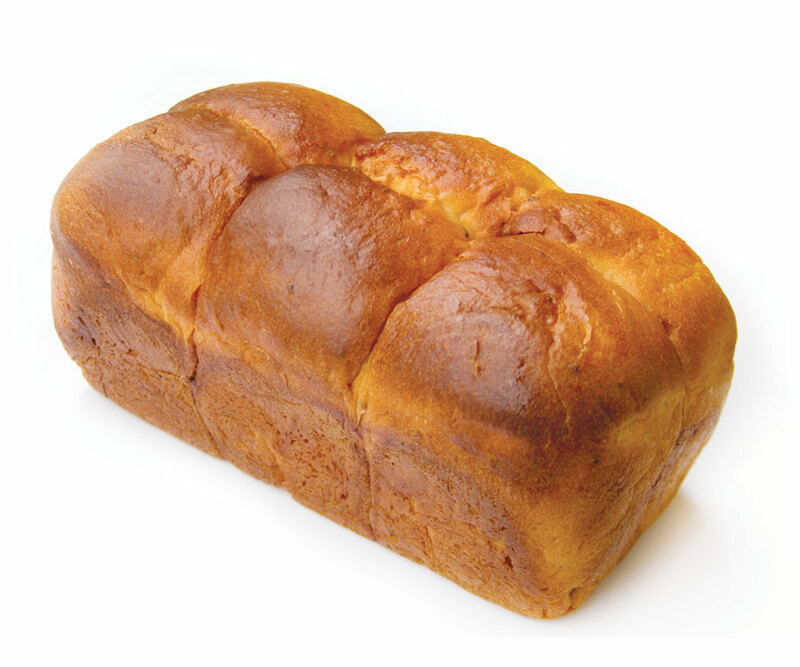 Before you leave, make sure to try the Pao de Queijo, a tasty Brazilian cheese bread. If you dine in for lunch, you’ll order from a menu that features pastas, salads and steaks. The menu at Walkabout Coffee Shop features many Australian favorites, including scrumptious pastry-topped Aussie meat pies filled with beef, brown gravy, mushrooms, onion, bacon, cheese and tomato. The spot also has a selection of pasties and sausage rolls, which feature pastry dough hugging a delectable combination of ground pork, chicken, carrots, onions, seasonings and spices. Jeff Cook, who is from Australia, owns the spot with his wife, Faye. “As far as Australian desserts, we have lamingtons and Anzac cookies,” Jeff says. Lamingtons feature a homemade white cake with chocolate and Australian coconut, and the Anzac cookies (which were originally made to send to the Australian and New Zealand Army Core) are made with oats, flour, sugar, golden syrup, butter and Australian coconut. Mediterranean fare is the specialty at M & M Bistro, a Joplin restaurant owned by Jef Alvand. Minoo Hatam, Jef’s wife, created the menu, which is filled with everything from tabbouleh, Mediterranean salad and hummus to specialties like spanakopita and dolmades (stuffed grape leaves). A delicious-sounding vegetarian option is the smothered artichokes and mushrooms, which feature the veggies in a white cream sauce with a salad and toasted pita, and the original gyro featuring thinly sliced meat with onions, lettuce and house-made tzatziki makes our mouth water. If you can’t decide, order yourself the Mediterranean platter, which comes with hummus, tabbouleh, sliced potatoes, gyro meat, pita bread and cucumber sauce on a bed of baby greens. No matter what cuisine you crave, there’s a good chance that there’s some type of dippable, drool-worthy dumpling available with it. 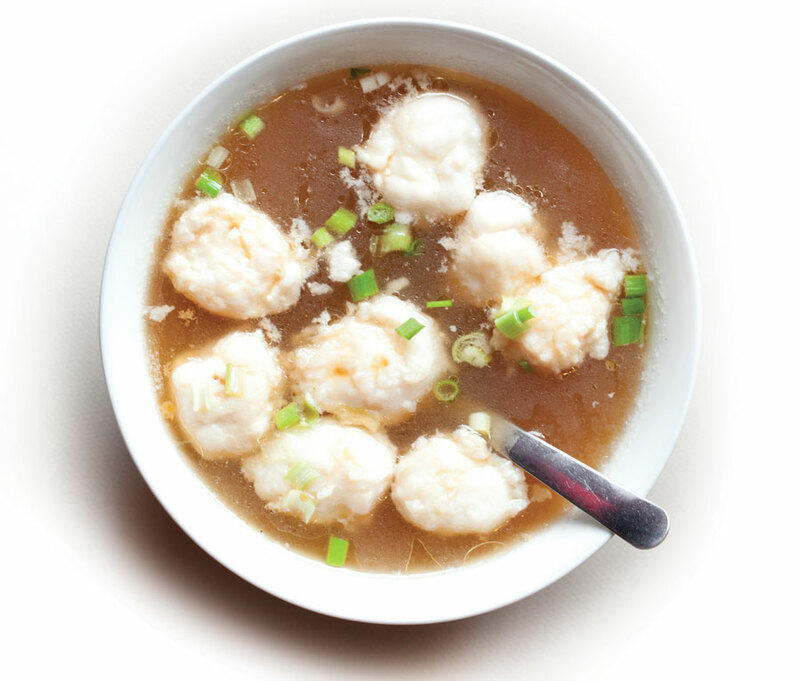 We define a few of our favorite dumplings, that can be found in many ethnic restaurants around 417-land. A combination of meat, cheese and vegetables (or any of the three) is folded into a bread or pastry dough exterior and then baked or fried. These hefty dumplings feature potato and are often served as a side dish in German cuisine. 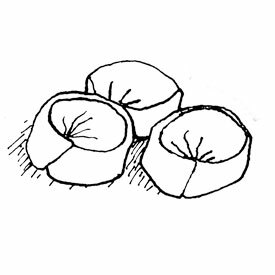 Most often filled with pork, these dumplings are folded, pan fried and often served with a soy-based dipping sauce. 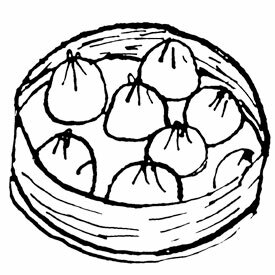 Often filled with potato or cheese, these dumplings are often smaller in size and feature a thick pasta shell. 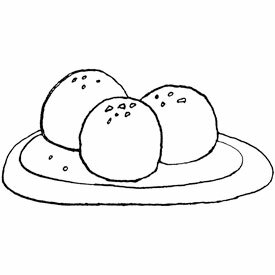 A meat-filled dumpling that is often steamed or fried and served with a soy based dipping sauce. Often deep fried, this treat is filled with a combo of minced onion, meat and spices that are surrounded by bulghur wheat. Vegetable- and meat-filled dumplings that are often pan fried to create a crispy exterior. A traditional Italian pasta, ravioli are most often filled with cheese, meat or other savory treats and then boiled. 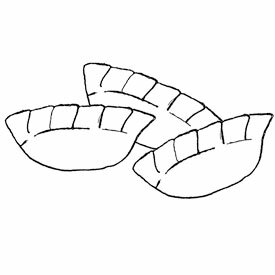 A noodle-like shell surrounds a shrimp filling in these treats, which are often pan fried. 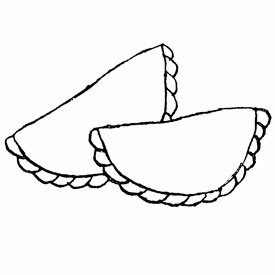 A fried or baked pastry featuring a savory filling, such as spiced potatoes and vegetables or sometimes meat. 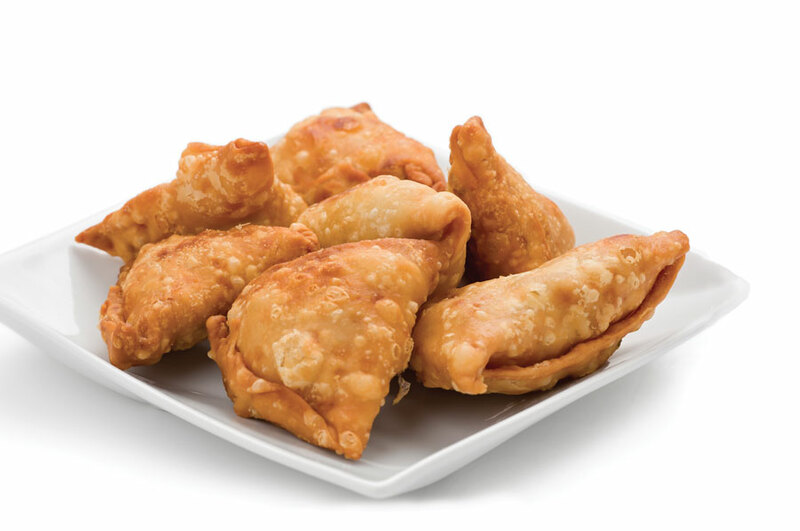 Often fried, these crispy creations are made by wrapping dough skins around combinations of meat, vegetable and cheese. Want to serve a tasty treat from overseas for your dinner table tonight? Chef Gurnek Singh from Gem of India, who often hosts cooking classes at the restaurant, shares a tasty recipe for vegetable samosas. Combine chapatti ingredients just until a dough forms, then refrigerate 30 minutes. In a separate bowl, combine stuffing ingredients. Divide chapatti dough into golf-ball size pieces, then roll each ball out and cut into two halves. 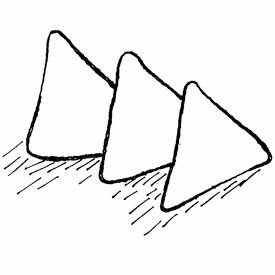 Form each half into a cone shape, and stuff the cone with samosa filling. 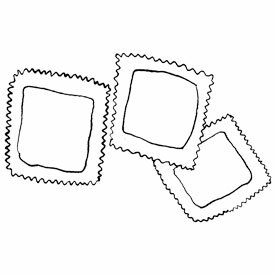 Seal the edges carefully using water. Repeat with the remaining chapattis and filling until all ingredients are used. Deep fry in hot oil until golden brown in color. 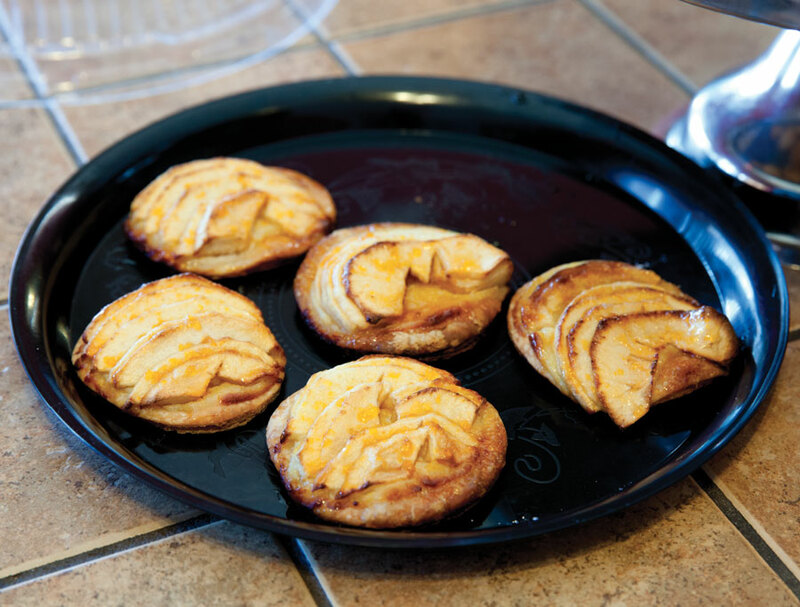 (If you prefer, you can bake them at 350°F for approximately 30 minutes.) Enjoy! 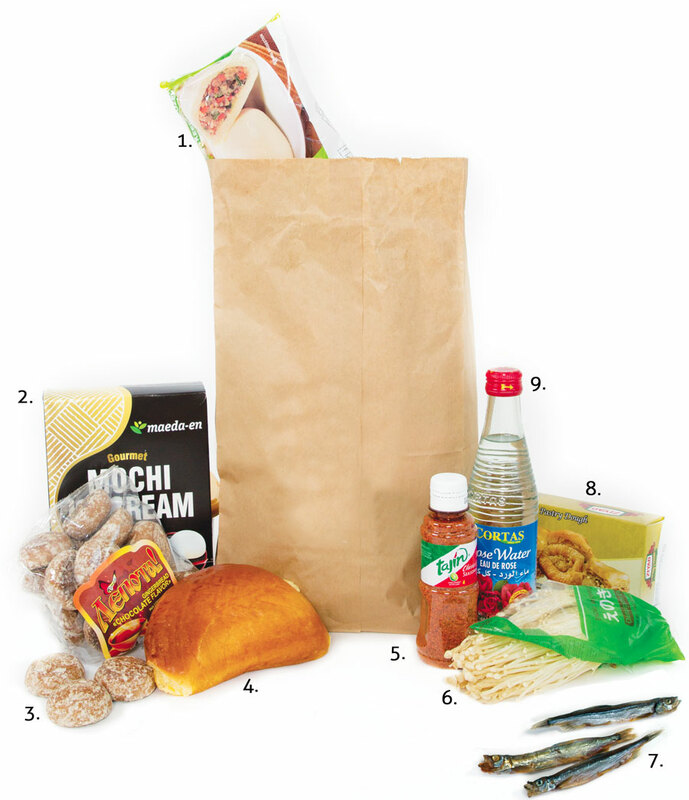 We scoured a few of Springfield’s ethnic markets to find tasty pantry fillers and must-try items. Read on to learn where we found the most interesting picks. 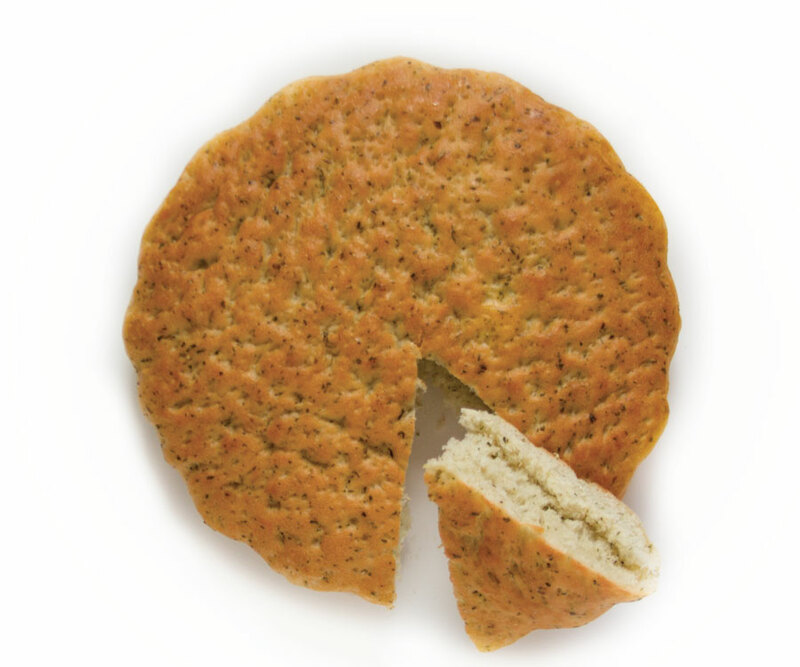 Some cookies are soft and chewy; others, like these, are perfectly crisp. The little treats are made in Belarus and are packed with plenty of gingery flavor. 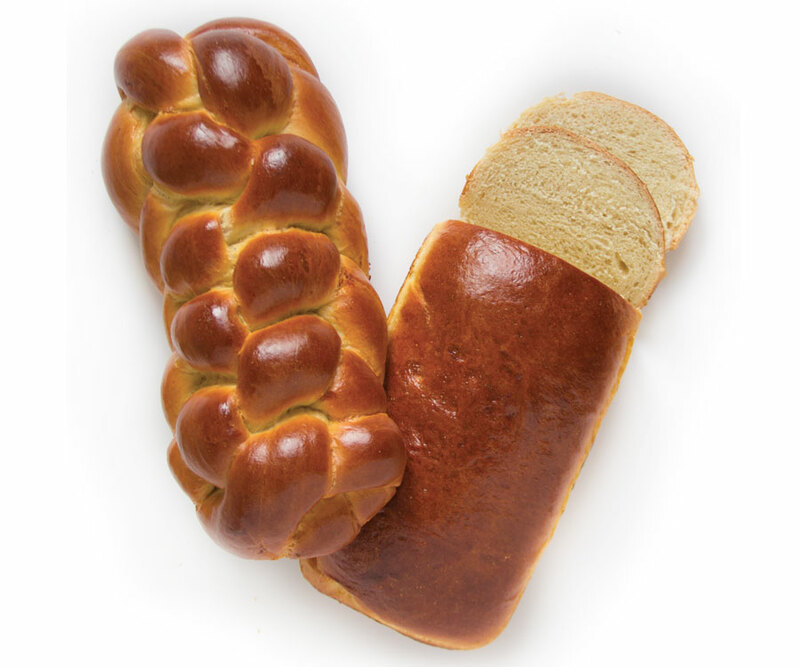 from Nadia’s European Market, 3023 E. Sunshine St., Springfield, 417-886-4444.